Avalanche education for skiers, climbers and workers in the ski industry is very important. 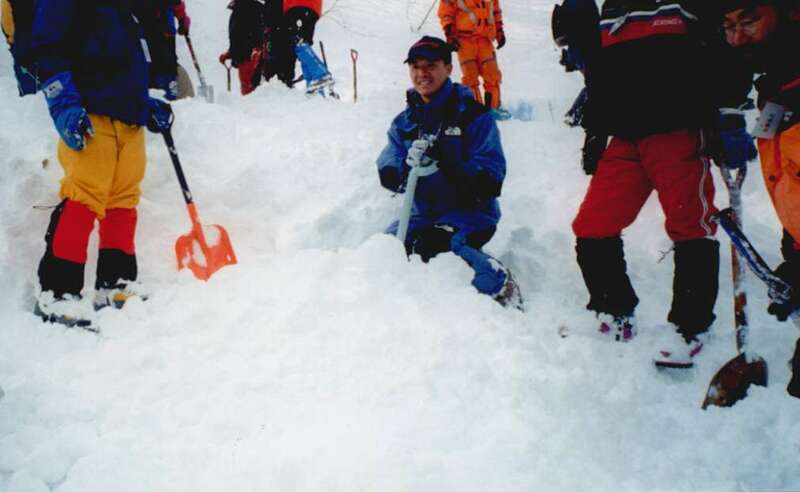 Every year the Institute of Low Temperature Science assists with avalanche training courses. 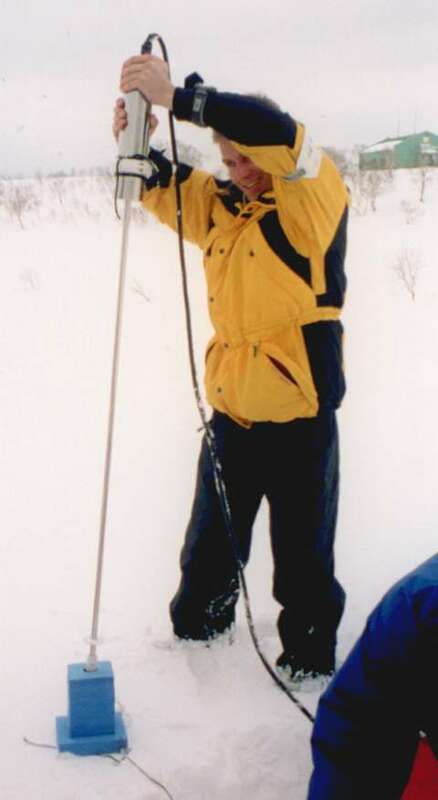 The courses include a scientific introduction to snow and its metamorphism, but are based on recognizing instabilities in the snowpack and include avalanche rescue techniques. One element of the course is to experience being buried with only a plastic tube to breathe through. You soon realise that unaided escape is impossible and the experience is sure to make anyone more careful in the mountains. Avalanche research is based on understanding the different layers of snow in the snowpack. To compare techniques and ensure consistency every year Japanese avalanche researchers gather in Niseko (a ski resort near Sapporo) to conduct snow surveys. Testing a new instrument for measuring snow hardness and electrical properties. The snow where this pit was dug was nearly 4m deep, though we stopped after 2m. About 1m down the snow is slightly reddened by dust blown from the Gobi desert a few weeks previously (not visible). 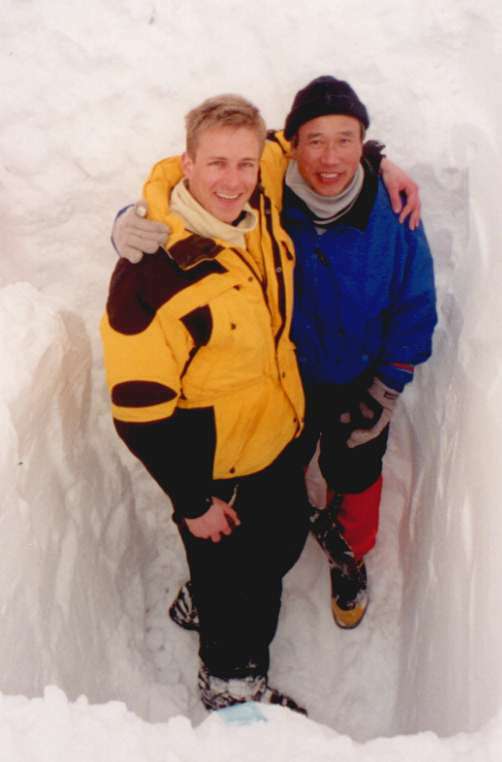 Collecting data on real snow avalanches is very difficult. 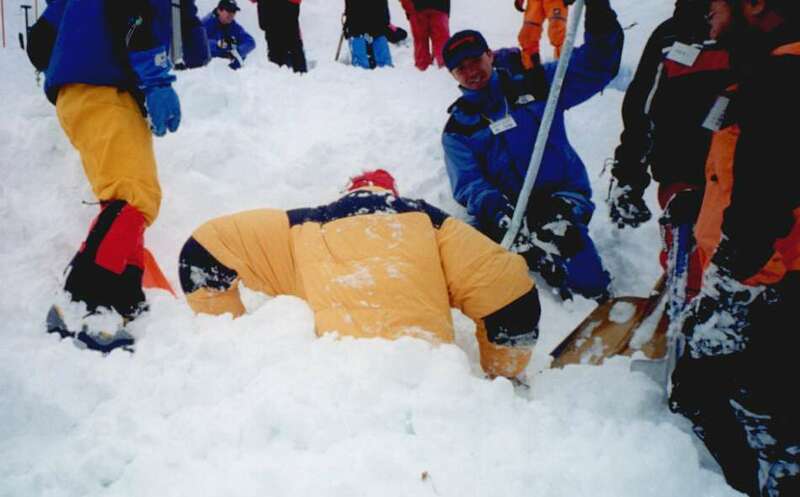 Avalanches occur unpredictably and easily destroy both equipment and resaerchers. 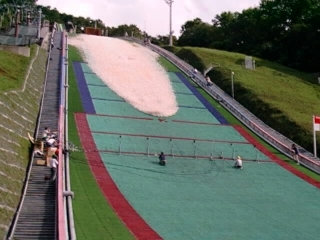 For nearly five years Japanese scientists have been conducting experiments on the Miyanomori ski jump in Sapporo (used for the 1972 Olympic games). 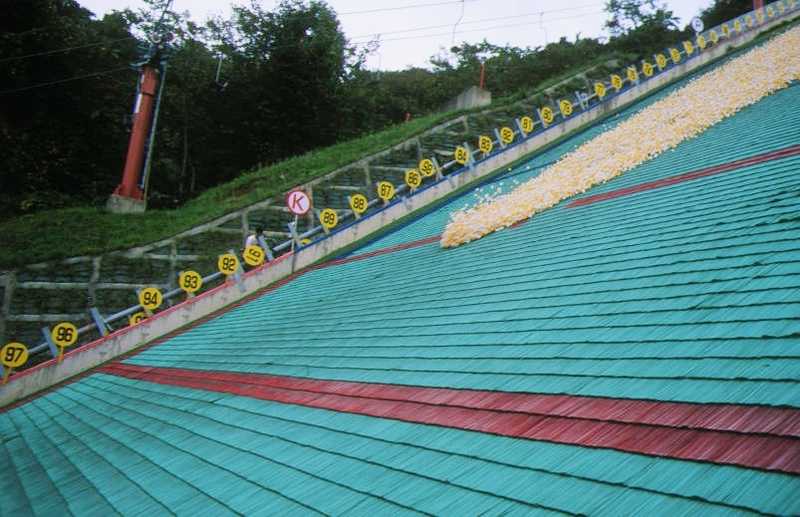 Snow is used in the winter and ping-pong balls in the summer. This experiment included two Human volunteers. Jim Mcelwaine on the left and Youichi Ito on the left. This disinctive head seen in this picture is characteristic of large scale geo-physical flows such as avalanches. 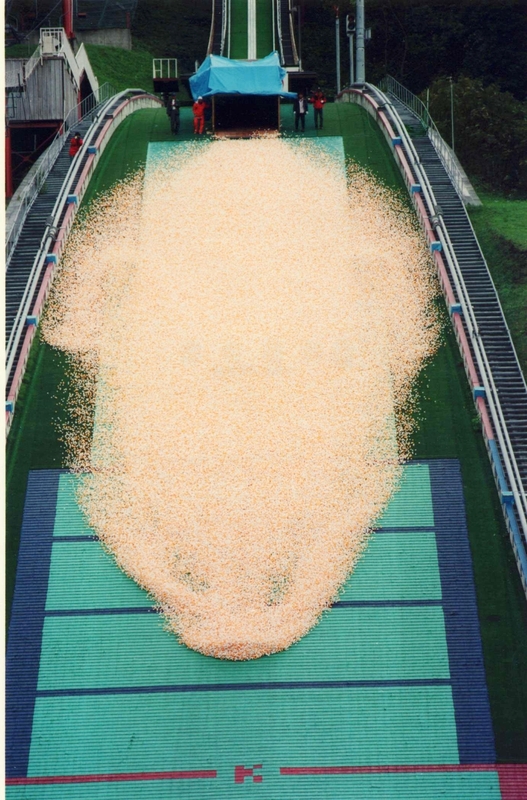 This experiment contained 550,000 ping-pong balls. More than 1 tonne.